The Nats win again! Since our last post, the Shark-led Washington Nationals have won two of three to improve their record to 86-53. Every day they win, they set a new record (as their previous most wins in a season was 81). The Shark is having fun, the team is having fun, and the fans are having fun. Remember a couple of weeks ago, when we showed you images from Shark Park? The Shark had on PH appearance and a chunk of the crowd went nut doing the Shark Chomp. It was a beautiful thing to behold. Long story short, people enjoyed it, and now it happens EVERY TIME HE BATS! MASN captured the crowds ferocious chomps on camera, and Woeful Nats made art with it. Check out the Woeful Nats blog and check out this GIF. It truly is a beautiful thing. Keep it up Nats fans. 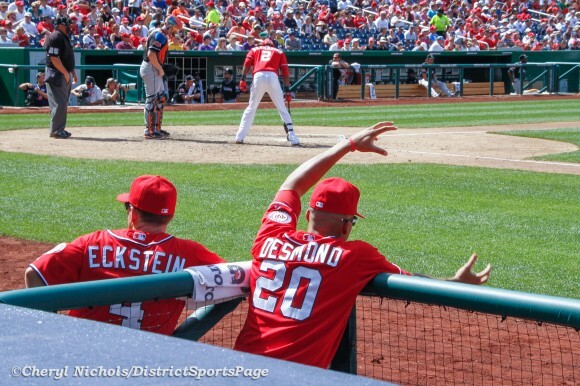 It intimidates the other teams and the rest of the United States as the Nationals and the Shark continue to battle for the top playoff spot. When doing the Shark chomp, be sure to use your fingers as teeth as you can see here: SHARK CHOMPING). Daddy Desmond knows how to do it.